Enjoy a relaxed life with our products! Find out somewhere to rest and support for your neck with Cervical Pillow. 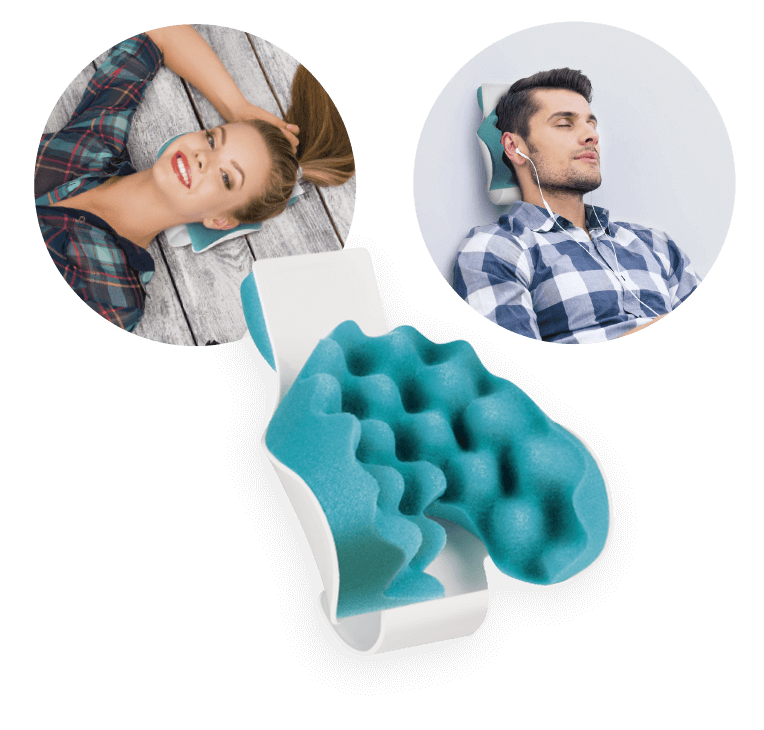 Its foam pillow allows you to raise and stretch your neck, relieving muscle fatigue and improving blood circulation. You’ll feel a great relief on the neck, back, shoulders, backbone and cervical muscles. 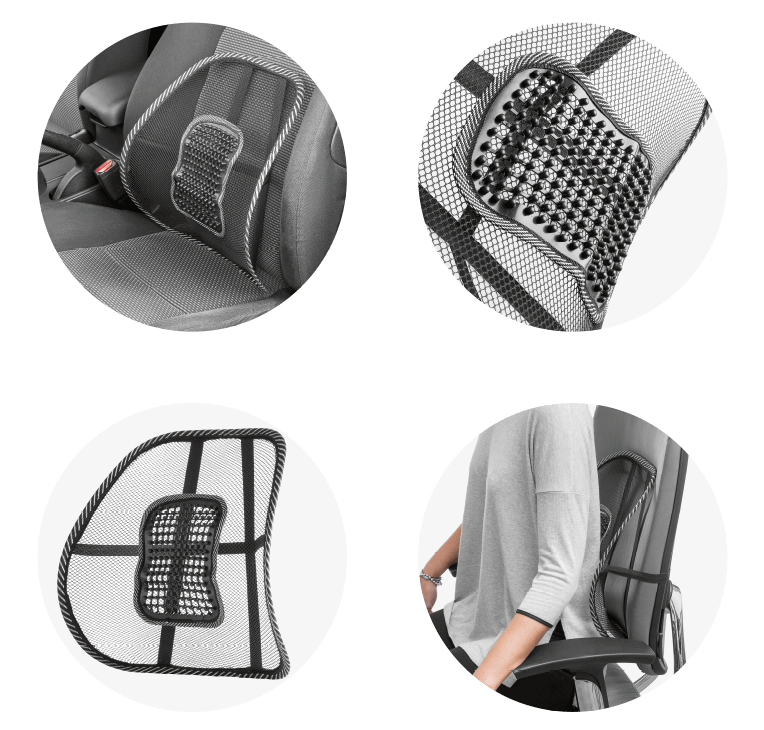 Take a seat and improve your posture with Comfort Air Chair. Its organically innovative design helps relax the spine and increase ergonomics. Its fabric is specially designed to facilitate circulation of air and better perspiration. 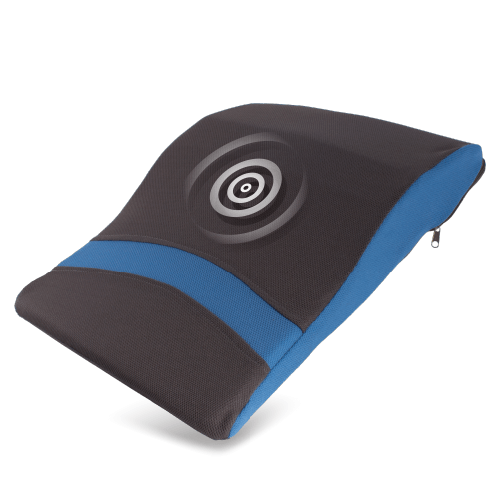 Additionally, Relax Cushion™ allows the product to correct your postural hygiene and rest for a long period of time. Enjoy a relaxing massage everywhere you go. Enjoy a shiatsu massage in the comfort of your home. 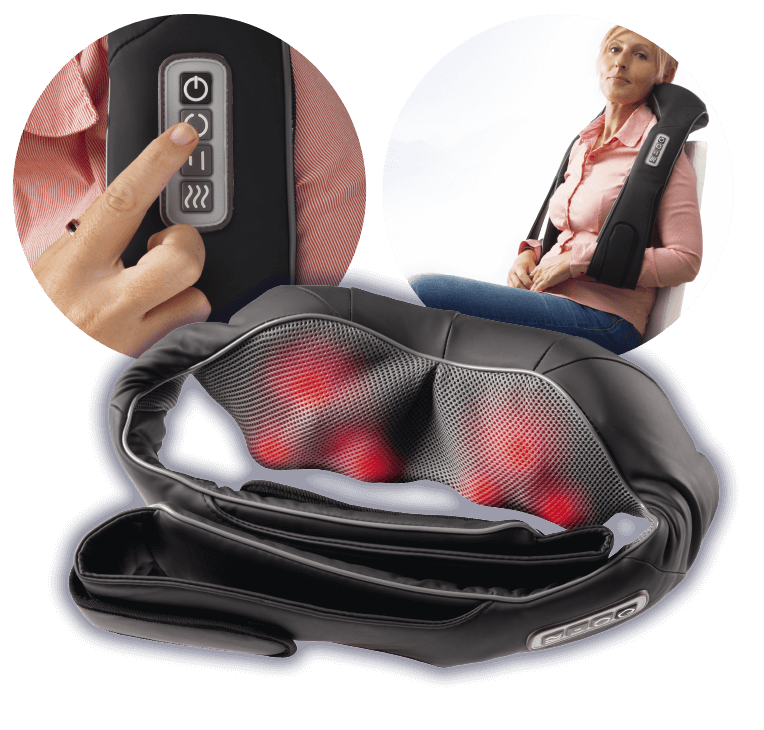 The Rlez Shiatsu massager allows you to control the amount of pressure you want in your massages accurately thanks to its convenient side handles. It infrared heat function allows you to potentiate the effects of the massage. It can relax your whole body, specially the neck, back, lumbar and legs. The eight ergonomic, rotatory and bidirectional heads will massage the areas you want with warm and pleasant circular movements. Made of quality and soft to the touch materials. It includes car adaptor. It requires electrical connection to work. Relax with the vibrating massage of Relax-a-strap. 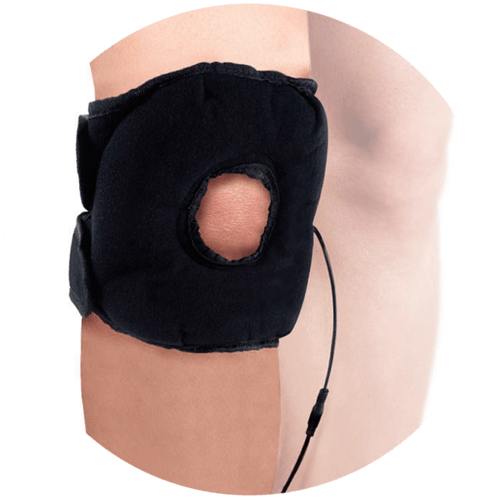 Its adjustable straps will allow you to attach it to any part of your body and enjoy its two intensities of vibration. Works with 2 AA batteries, not included. Its dimensions perfectly adapt to the neck, the lower back area or the part of the body you want to relax. Its vibration provides a massage that activates circulation, helping you to release built up tension. Soft to the touch, this vibrating cushion works with 2 1.5 V AA batteries. It features an on/off switch. Pamper your feet and give them a pleasant massage with Relax Cushion™ foot warmer and massager. 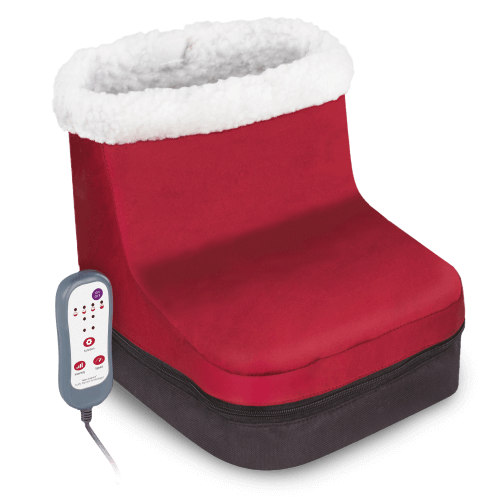 Featuring different massage intensity levels and a heating function to relieve tired feet and keep them warm just the way you like it. 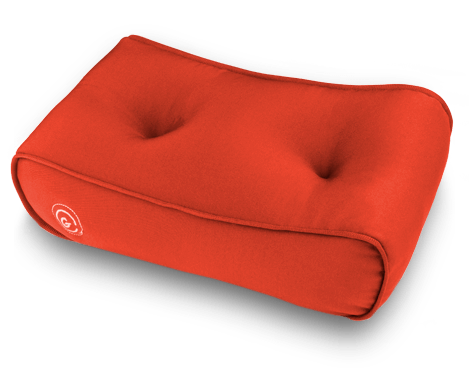 Relax Cushion™ will help you improve your metabolism and stimulate your blood circulation. 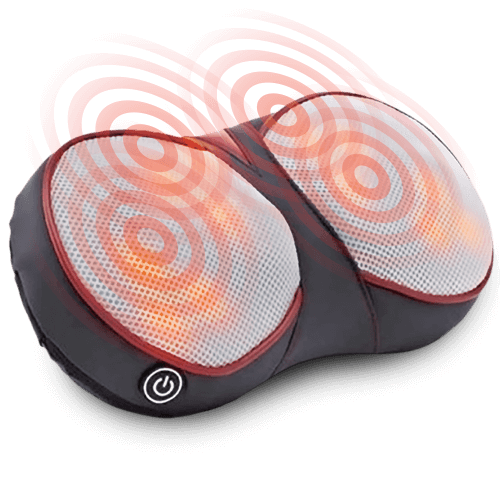 The four ergonomic massage heads of Compact Shiatsu Massager™ will relax the desired areas of the body with pleasant warm circular movements. 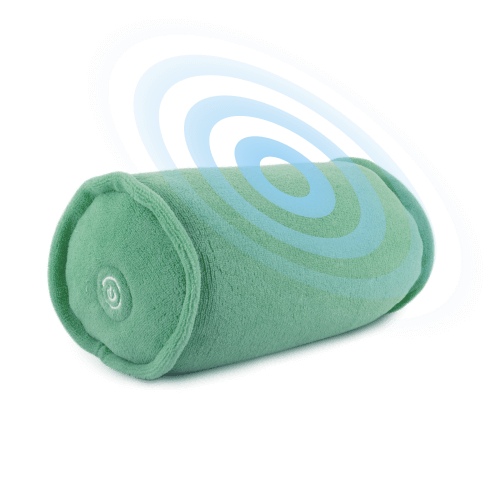 Its thermal function gently loosens your muscles giving a lasting calming feeling all over your body. Enjoy this soft and comfortable everywhere you go. SeatCloud is particularly designed for people who stay seated for long periods of time. 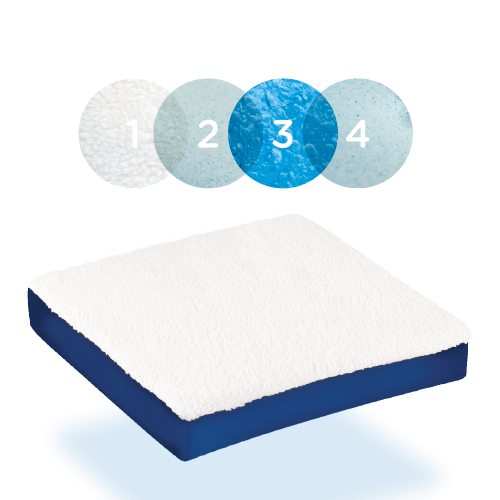 Its memory foam composition adapts to your body contour and relieves pressure on the coxxys area redistributing your weight. Its soft cover increases comfort and can be removed to be washed. 2 Adjustable bands ideal for discomfort or pain of muscles and articulations. Fluffy and comfortable. Plug it in and start enjoying the benefits of the warmth of the mineral salts with Stone Relax®. It can be used on or off. Balance body and mind giving yourself a pleasant massage with the Fluffy Warmer & Massager. It has 4 adjustable massage modes inspired by foot reflexology, which unblocks the energy of organs to enhance the cardiovascular system. It has an infrared heating surface whose maximum temperature reaches 42ºC. 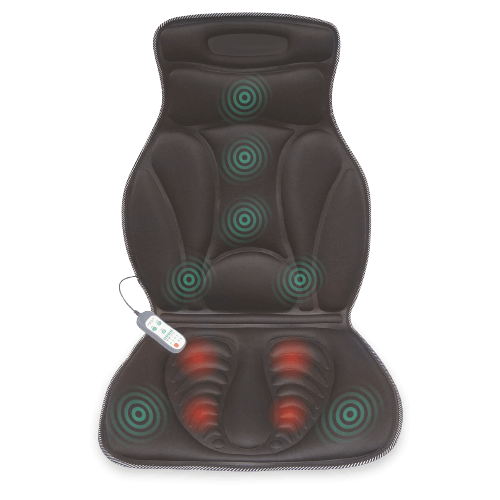 Thanks to its 2 levels of vibration, Relax Cushion® will relieve stress while you rest. 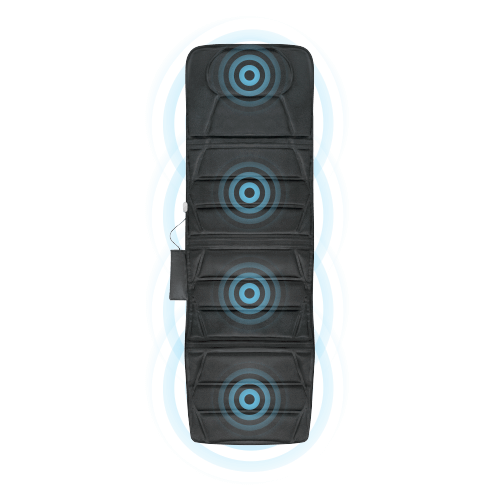 Its unique design allows to wrap your neck comfortably, or even other parts of your body, like shoulders, legs or arms. Experience a new level of comfort thanks to the fusion of high-density foam, comfort gel and soft fleece. All together in a light cushion that you can carry anywhere you want. Warm in winter and cold in summer thanks to the properties resulting from the fusion of its materials. You can customise it with any cushion cover you like. Start enjoying today the extra level of comfort you deserve. Massage your neck, back, hips and abdomen anywhere with the Seat Massage Mat™ therapeutic massage seat, which combines the 5 methods of traditional Chinese massage: kneading, beating, finger pressing, rolling, scratching. Its high-frequency vibrating balls and its heat function stimulate your blood flow reducing lumbar pain. It can be connected to the car cigarette lighter for use during your trips (12V DC). Includes controller. 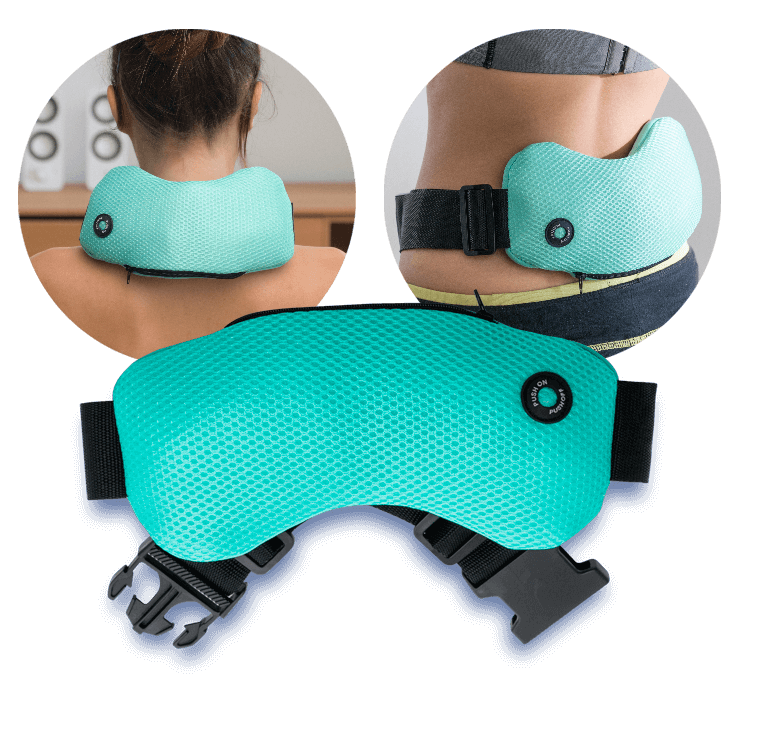 Relax Cushion™ is a cordless & portable massage cushion. Use it wherever & whenever you want, while sleeping, at work or just resting. Enjoy a soothing relax massage in your upper &lower back, shoulders, neck, ankle, legs or foot. With removable and washable cover.